Nine has rejected an offer from Seven to swap the 2019 and 2020 Wimbledon Championships in exchange for the right to broadcast the Ashes exclusively. Nine has opted to keep the Ashes series, taking place in Edgbaston in August, which marks Steve Smith and David Warner’s return to Test cricket. Timezones will mean the broadcast will take place in primetime in Australia. The Daily Telegraph reports Nine will take take the international feed and commentary from Star Sports for the World Cup and Sky for the Ashes. Nine will also broadcast next year’s World Twenty20 tournament to be staged on Australian soil. Last year a deal was struck for the 2019 Australian Open, with Nine paying Seven $48.5m, when the latter’s schedule was given to summer Cricket. What a change with everyone wanting the Ashes, I remember when SBS took the 2005 series because other networks said so and ended up broadcasting one of the greatest ever and had a ratings bonanza! I suspect that if Smith and Warner were not eligible for the ashes or the CWC, then Nine might have agreed to the swap. However, because they are both likely to play, it could be a ratings bonanza for Nine. Very smart move to keep them both. I get why Seven and Nine would have at least both be thinking about it, Nine now home of tennis spearheaded by the Aus Open and Seven (and Foxtel) now the home of cricket. I suspect Nine in coming years will go after Wimbledon and Seven CWC and UK Ashes. So Seven have realised that ditching the tennis and chasing the cricket was stupid. They made their bed, now they can lie in it. The article was about channel 7 offering Wimbledon Tennis to channel 9 so that 7 could have the Ashes cricket. Gone are the days when 9 would send a commentary team over there and richie would host from there. Now they take commentary from some other overseas network. Surely though TV is the easiest way to watch sports. No expensive cables or internet usage required and it’s a much larger screen than a phone. I’m a young person and all the sports I watch I do so on a normal TV. There is the possibility of utilising dual or multiple audio feeds for digital TV for different commentary teams. It would give the audience the preference of choosing their favourite commentary teams. Dual and multilingual audio feeds for digital broadcasts are much utilised in Europe, especially for multilingual purposes, but not so much in Australia. I’ve known of people in the past who would mute the television commentary team, yet still watch the visual broadcast while listening to the commentary simultaneously from other radio stations as that was what they preferred. The Ashes delivers up to 25 nights which rate well for the first session, and give good late night ratings for the 2nd. Wimbledon may have a few Australians playing early in the first week, but all big games are in the middle of night. I sense this is the comeback year for Nine. Well, in prime time at least! 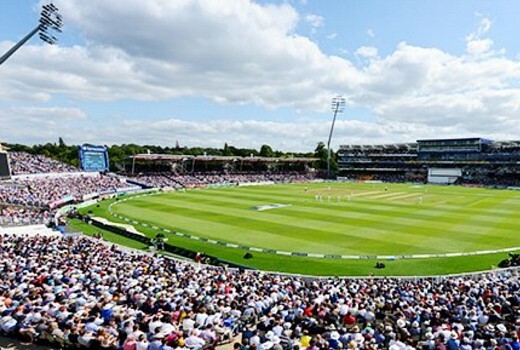 9 only have the 2019 Ashes series in England, the 2019 World Cup in the UK and the mens’ and women’s 2020 World T20 tournaments in Australia. After that 7 will pick it up I assume. Yes they will see a ratings bump for this year, but can the merged entity stump up the cash to bid for it again for the 2020/21 ashes? I guess they will keep an eye on how this series performs and do some numbers around what it’s worth to them. That little tiny wooden urn full of ashes, is a lot bigger than it looks. Can’t believe we have to wait until August! But hey, at least we have the World Cup to look forward to!